What Do Dog Breeders Use a Breeding Program For? When to Design a New Dog Breeding Program? What Should an Ideal Dog Breeding Program Look Like? Should I Publish My Dog Breeding Program Online? Can I Update My Dog Breeding Program Over Time? Let’s face it: dog breeding is tough. 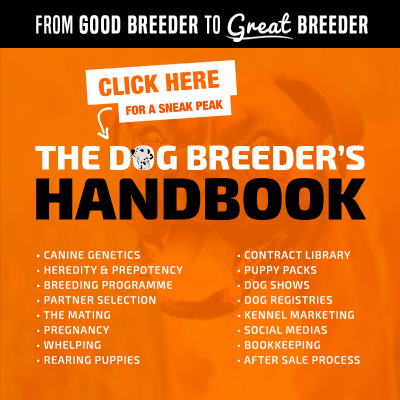 But if you have always loved challenges and are interested in breeding high-quality dogs but have no idea from where to start – we have got your back! Undoubtedly, dogs of the top breed are in high demand all across the world. However, it is not as easy to raise high-quality dogs as it seems to be. Dog breeders need to be responsible, determinant, and additionally, they should have a perfect dog breeding program matching their vision. As a breeder, it is essential that you have an in-depth knowledge of the breed of dogs you are raising and create a conducive environment for their growth and development. More often than not, a dog breeding program is developed and followed strictly by professional breeders and hobbyists alike. It is a plan that if followed through, will result in creating the ideal dogs – in looks, purpose, and temperament! Why breed dogs if they do not better the existing pool within your breed? When you have a well-established breeding program, the chances are high that you will be able to breed high-quality dog with top pedigrees and with strong bloodlines. 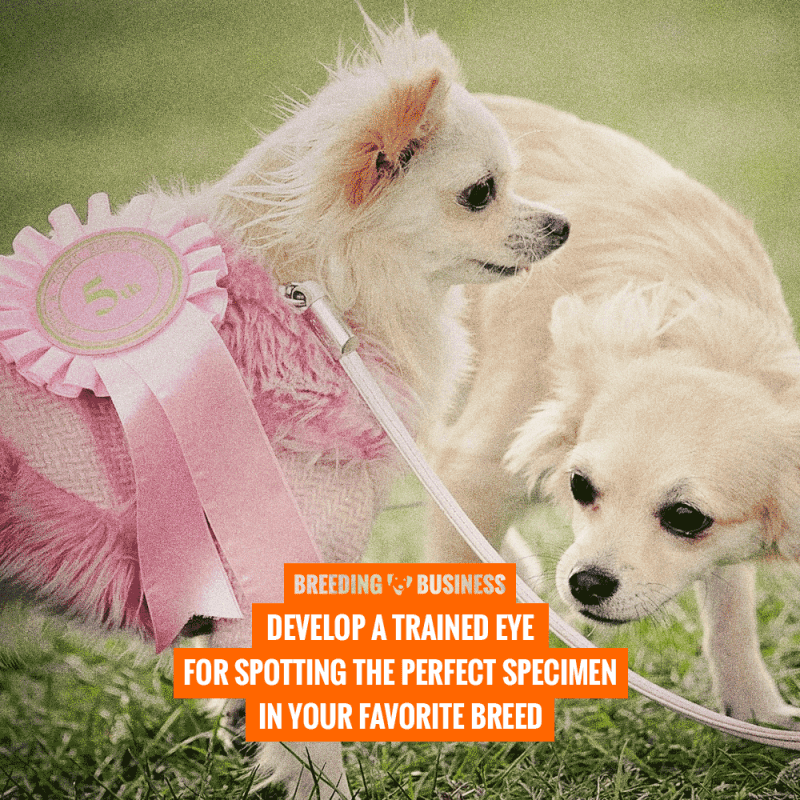 A breeding program is a great way to highlight all the areas where your dogs are superior to other dogs. Professional dog breeders have a visionary approach. This helps them in customizing the breeding program accordingly to meet the goals. But it’s also where a lot of dog breeders become delusional. Ambition should never be synonymous with delusion – make sure you send your program to a local or national breed club to receive constructive criticism. Undoubtedly, breeding can be a time-consuming process. In such an event, more often than not, breeders tend to get frustrated due to the long gestation period that it involves. A breeding program keeps the breeders on track and reminds them of their long-term goals. Remember that to know if breeding is successful, you need to wait for the pregnancy, and then a couple of years to judge the grown-up puppies… It takes time! Don’t be in a hurry. Let your dog grow up first and complete all their health certifications. Get your dog thoroughly examined by your doctor and make sure that they have all the required vaccines. Once you are expert within your breed and in most dog breeding concepts, you can start thinking about your own bloodline. Meaning, you shouldn’t enjoy your dog so much that you decide to breed it over the years. Before starting a dog breeding program, it is essential to know all the contents or features that a new dog breeding program should have in order to be successful. 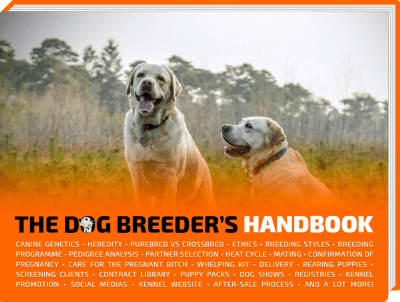 Obviously, each pet breeder has its own set of guidelines and no breeding program is alike. However, if you do not write down any of the below, you are setting yourself up for failure. Please note that a dog breeding program is generally written down but a lot of old school breeders never put it on paper. Instead, it was kept in their minds and was shared generation after generation. Nowadays, I would recommend writing it down to stick to it. The first step to having an ideal dog breeding program is to know about your dog – its breed, its breeding standard, and pedigree. This is what will determine the quality of your dogs that you are breeding and if they are purebred. Breed standards are lists of breed-specific physical and temperamental characteristics. When breeding dogs, it is highly recommended to make sure that your dog and their mate meet as many standards as possible. This will help you in breeding high-quality dogs. To know more about your dog standard, analyze the dogs on your own against the standard. Alternatively, you can also take help of an expert – mentor, breeder, judge. You can also try checking the United Kennel Club or the American Kennel Club’s websites to know more about your breed and its trends. Contact your local and national breed clubs, they are generally very resourceful. You don’t start a bloodline by accident, it should be thoroughly planned. Undoubtedly, the least you would expect is breeding a dog with poor health. Many times, an entire breeding program fails dismally if the breeder chooses a dog which has a hereditary disease or a genetic disorder. In order to ensure that you are choosing a healthy dog at the beginning of your breeding program, you must find out the detailed medical history of the dog. This way, you will ensure that the dog does not suffer from any inherited disease. There are reliable DNA tests available, too. Further, make sure that you conduct regular health check-ups of your dogs during the program to facilitate proper diagnosis and cure of any underlying health issues before it becomes big. Breeders should also conduct thorough research on health concerns that are common in the breed they are developing. By knowing the causes of the diseases beforehand, you will be able to take effective steps in the right direction. Keeping a great relationship with your vet is key to act fast if need be. When you develop a dog breeding program, you should be clear with your end-goal and should have a measurable objective as to what kind of dogs you want to raise. Dog breeding can, of course, a profit-making adventure and therefore, the breeders’ decision about the breed they want to develop is dependent on the purpose or job that they want their dogs to excel in. For example, many breeders develop programs to breed ideal family pets. Yet other breeders choose breeds which have been historically known to make good farm dogs or guard dogs. Before starting a dog breeding program, it is essential to decide the skill goals and purpose of the dogs that you are planning to breed. This is also necessary because it is one of the main factors when it comes to determining the price of the dogs. Do not try to please everybody. Instead, pick one small job and make sure your dogs are the best at it, without the shadow of a doubt. Depending on the purpose that you intend your dogs to serve, whether they will be going to a family as pets, to an association as service dogs, or to a high net worth individual as show dogs, you will be able to fetch a better price through excellent. Irrespective of the person you breed the dog for, a healthy looking dog is loved by all. Thus, when you begin a dog breeding program, it is essential to keep the dog’s appearance in mind. This would help you in attracting customers, as more often than not, buyers are more likely to choose a good looking dog with a shiny coat, perfect paws, and healthy eyes. If your dogs are bred to serve a clearly defined purpose (farm dogs, racing dogs, etc) you will want to make sure their appearance facilitates their excellence at performing such tasks. Each breed of dogs has its own special physical characteristics. While some dog breeds may have a long and heavy coat of fur, others would have a short bristly coat. The color of the eyes, the bend of the tail and the shape of ears also differ. However, there are some common physical traits of all healthy dogs which you must incorporate in your goals. It is highly recommended to aim for features like a clean and shiny coat, odor-free ears, and fresh breath to attract quick buyers. More often than not, people buy a dog with a specific purpose in mind. They might want a dog for guarding their house, or for helping them in farming, or they might be looking for one who could just act as a playmate for their kids. Based on the purpose they want the dog for, they also look for specific kind of temperament in dogs. Thus, people looking for a dog as a playmate or family pet will want a breed of dog which is playful and sweet. On the other hand, those looking for a farm dog will want a dog which is calm and hard working with an untiring drive. When you initiate a dog breeding program, you should ensure that you incorporate temperament goals in the program so that you can work towards subtly softening or hardening the temperament of the dogs depending on the purpose that you are breeding them for. However, an important point to keep in mind is to make sure that the dogs that you initially choose for your program are of a stable temperament. The dogs should neither be shy nor too friendly. Moreover, it is highly recommended to avoid breeding dogs which are aggressive towards other dogs or humans. In order to start a breeding program, you don’t only need to choose the appropriate breed of dog but also a strong bloodline so that your dogs are able to produce healthy litters of puppies. Bloodlines are important because strong bloodlines which have historically proven to produce strong and healthy dogs are sure to make your breeding program a success over time. 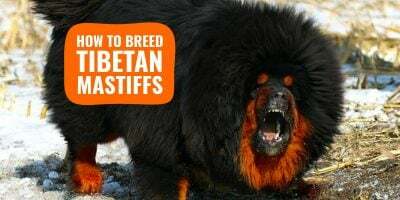 On the other hand, the bloodline which has dogs who have succumbed to genetic diseases or have had a generally low mortality rate among pups is considered to be weak. 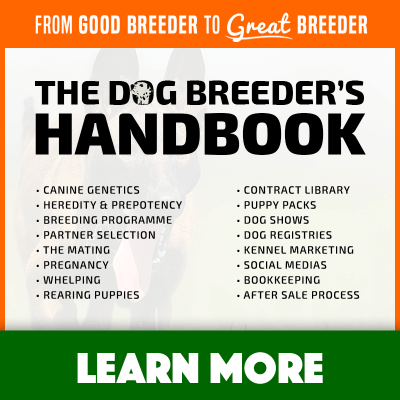 While choosing a bloodline for your breeding program, draw up a strategy by making a list of all the shortlisted bloodlines and writing the pros and cons of each of them. The bloodline which has a higher number of physically and mentally fit dogs and has proven its skills should be a top choice. Once you have decided the breed of dog that you want to develop, the next step is to choose the founding breeding stock which will be for breeding the first litters. If you have selected a handful of bloodlines of interest, picking your founding stock from them should be a natural choice. After you start a dog breeding program, you will also need to find partners for your breeding stock. These partners should ideally be from other dog breeding programs which will ensure that you are able to maintain a strong bloodline for your dogs. It is advisable to lay down a long-term breeding strategy to keep your dog breeding program running. The breeding can be done in two ways. The first is the inbreeding method in which dogs who are closely related to each other, such as siblings or cousins, are mated with each other. This results in an extremely pure breed of dog which has all the character traits of a top pedigree dog – but also dramatically increases poor health conditions! The second method involves the breeding of unrelated dogs. This is a slower form of breeding but it is also considered much safer because mating of unrelated dogs eliminates the chances of the pups developing a genetic defect through inheritance of a recessive gene. This method also promotes genetic diversity in dogs which is one of the desirable traits. There are dog breeding techniques found in between these two such as grading up. The ultimate purpose of a dog breeding program is to develop well-bred dogs for sale to trusted owners. 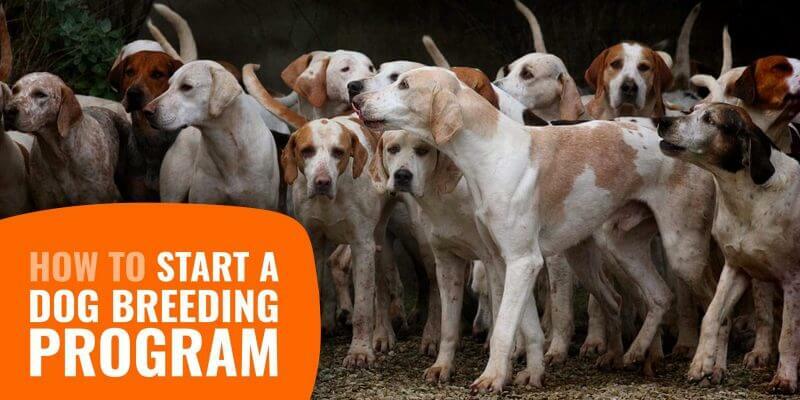 Breeding the dogs is only one half of the program while the other half is to attract suitable prospective buyers. Just like for any other kind of business, a sales and marketing strategy needs to be in place so that you are able to communicate with the target group of customers and showcase your dogs and their unique characteristics to the right audience. The marketing channels you are going to use for selling the dogs should be set beforehand. 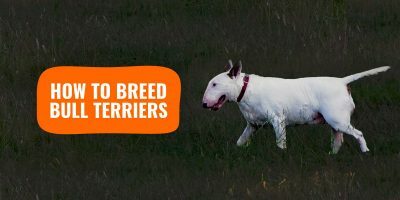 Certain kinds of dogs, such as those being bred for service or for specific purposes like farming, need to be marketed exclusively to their target customers. This can be done by attending dog shows. Online marketing is also a great way to increase your program’s visibility and pull in more customers, especially on social media, or through your website. Last but not least, you must always have a benchmark strategy for the dogs so that it is easy for you to measure them against the metrics set out by you for your program. It is also important to be objective and open to feedback from customers as well as other breeders. 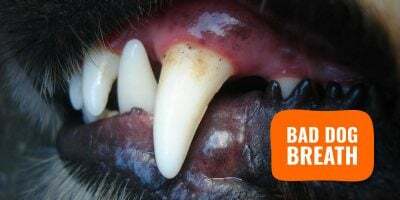 This will help you in identifying your weak areas and will further assist you in improving your dogs’ bloodline for future breeding. Definitely! Publishing your dog breeding program online equips you with constructive feedback. Getting expert comments and tips from more experienced breeders will help you in improving your program. After all, to have a successful dog breeding program, it is essential to have an objective approach. In order to be a successful breeder, it is necessary to update your breeding program as the need arises. 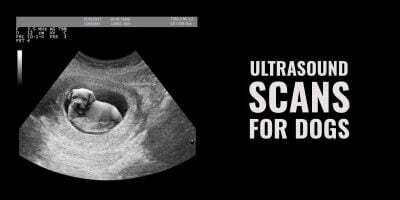 However, it is recommended to make modifications to the program only after the first couple of litters. Then, you will be in a better position to know what is going wrong. All set to launch your own dog breeding program? Got any queries? Write to us in the comments below!